The Eave modular sofa by Menu is a design by the designer team Norm Architects, that was inspired by architecture. The sofa takes its name from “eaves” – the lower edges of the roof that overhang a wall. The classic arched shape is seen above all in the upholstered armrests, that not only provides comfort, but also provides the sofa with its expressive character. 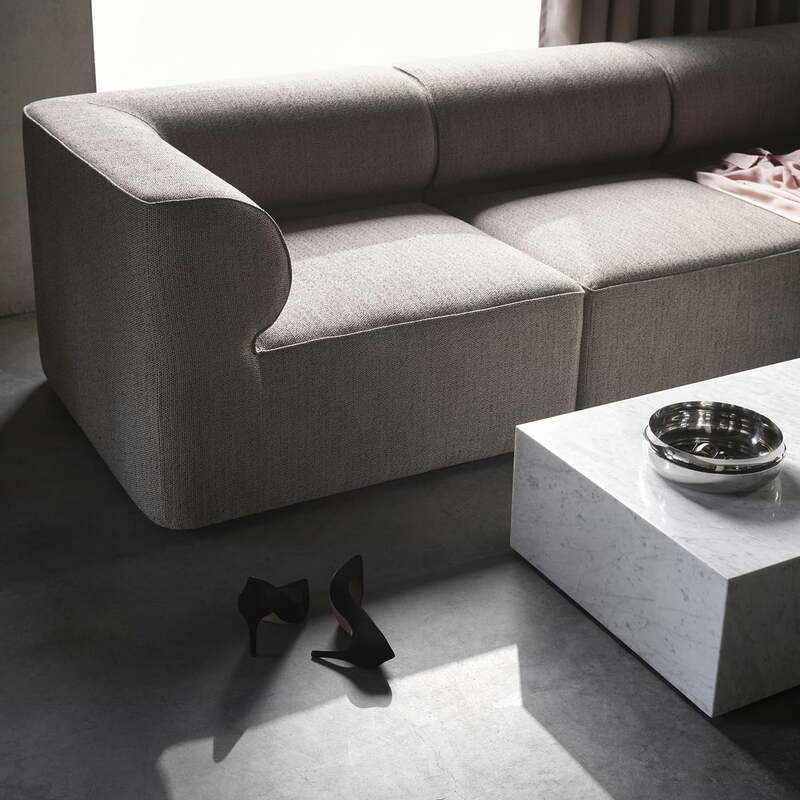 Overall, the Menu Sofa is characterised by its compact appearance, which is created by the front element that reaches to the floor, as well as the wide back and armrests. 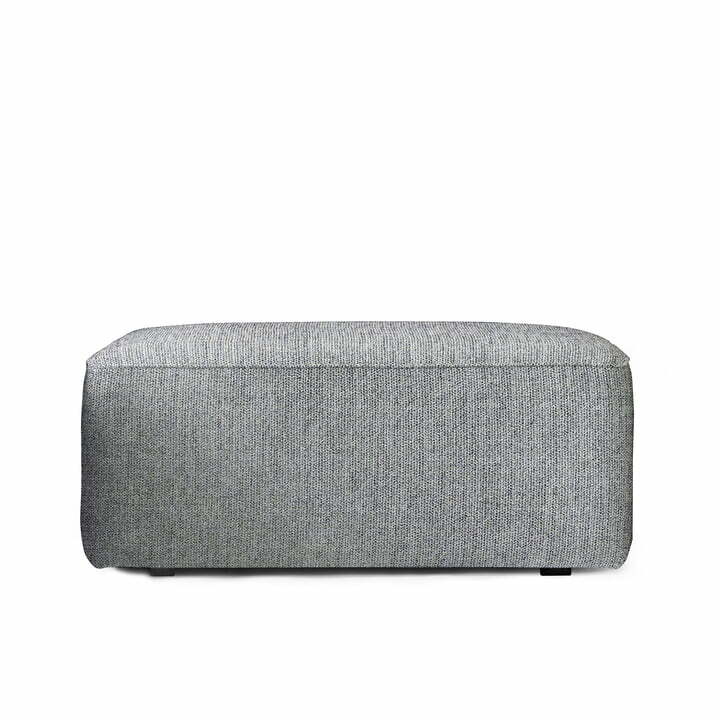 This makes the upholstered piece of furniture particularly inviting and introduces a cosy atmosphere not only in the home, but also in public lounge areas or offices. Thanks to the clear lines and high-quality processing, the sofa looks elegant and stylishly enhances any interior. The Eave sofa can be freely configured so that it either becomes a compact 2 person sofa or an expansive lounge area. Corner elements, centre elements and poufs can be used to reconfigure or expand the sofa and change the atmosphere in a room. Details The delivered product may differ in the color and brightness of the image! To view the cover fabric, we will gladly send you fabric samples! Isolated product image of the Menu - Eave modular sofa pouf in light grey. The corner element, centre element and pouf can be used to reconfigure or expand the sofa and give the room a different atmosphere. 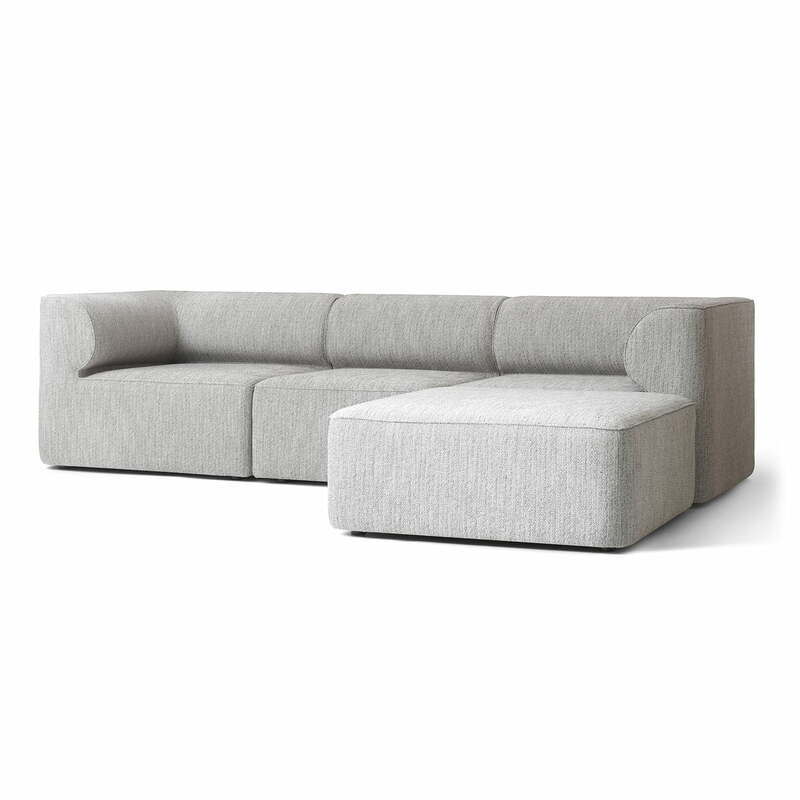 Isolated product image of the Menu - Eave modular sofa in light grey. A cosy sitting area can be created according to your personal taste out of a central and side element as well as a pouf. 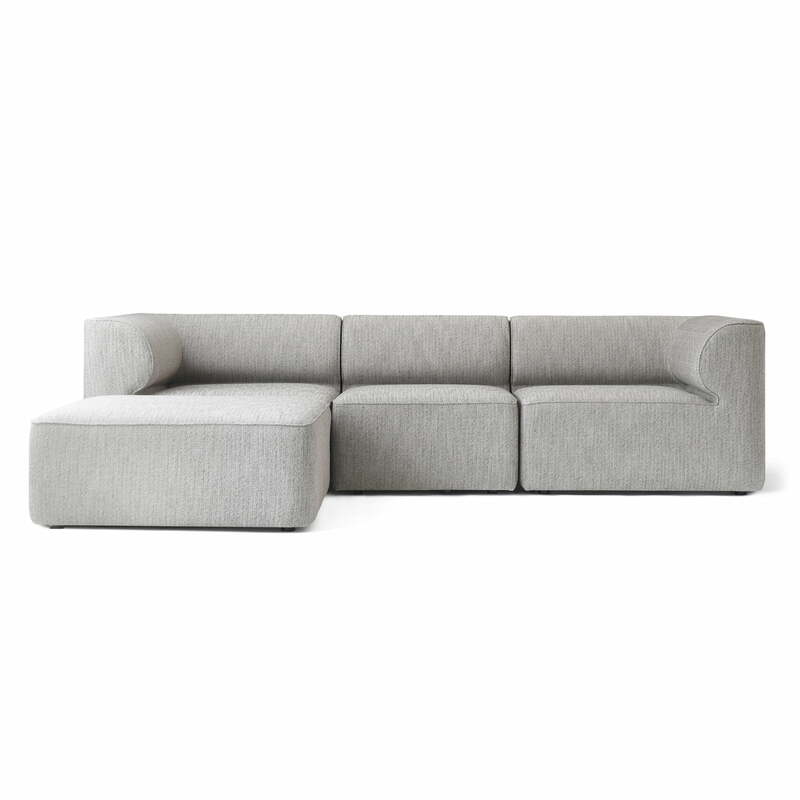 Isolated product image of the Menu - Eave modular sofa in light grey. The Eave sofa can be freely configured so that it is either arranged as a compact 2 person sofa or an expansive sitting area. 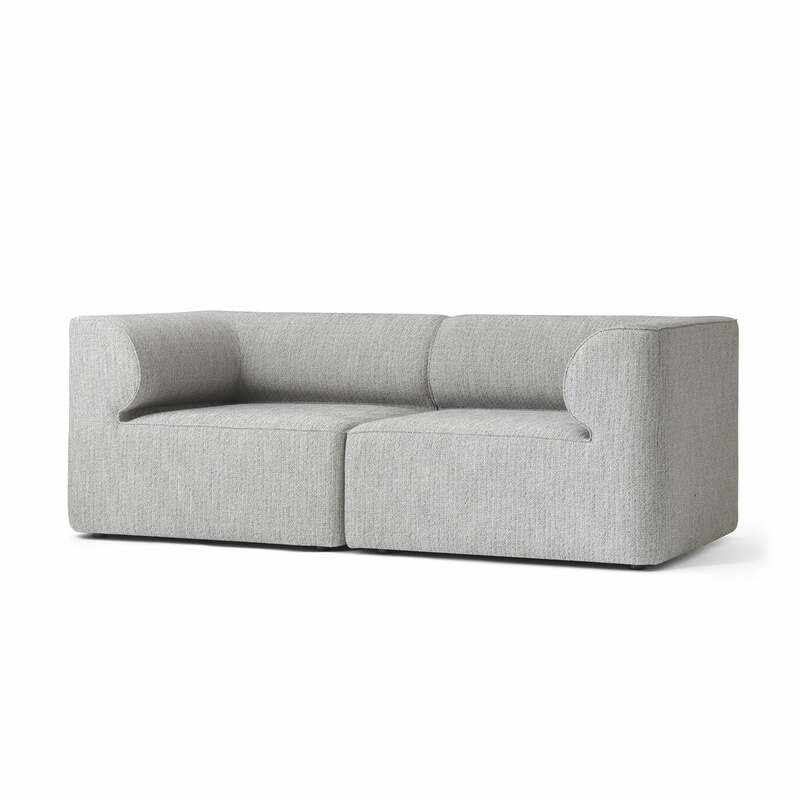 Isolated product image of the Menu - Eave modular sofa in light grey. The sofa takes its name from “eaves” – the lower edges of the roof that overhang a wall. The typical arched shape is found above all in the upholstered armrests, that not only provides comfort, but also gives the sofa an expressive character. 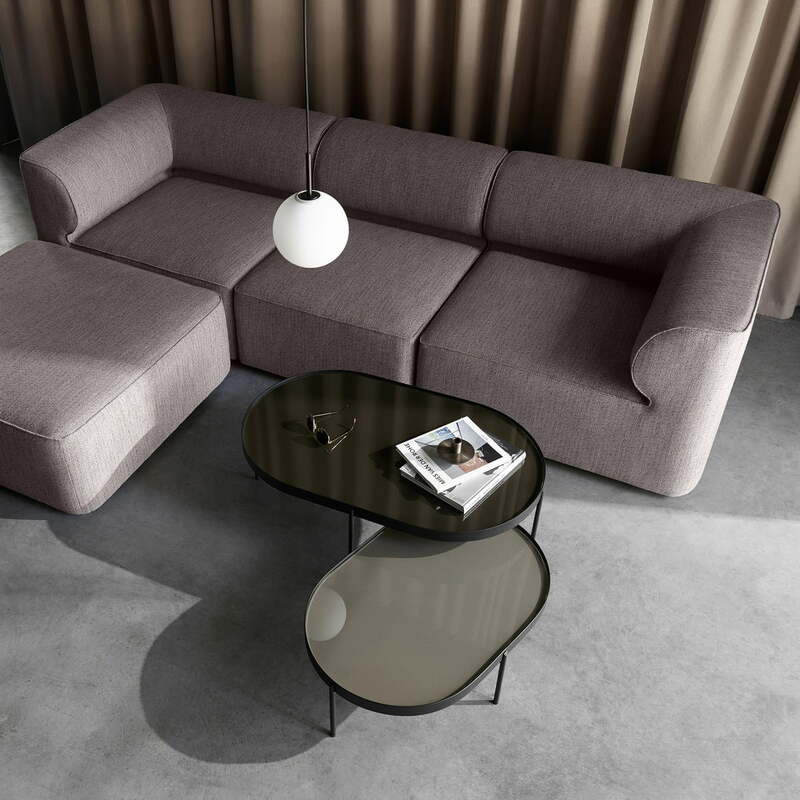 Lifestyle product image of the Menu - NoNo coffee table and the Eave sofa. Thanks to the clear lines and high-quality processing, the sofa looks elegant and stylishly enhances any interior. Lifestyle product image of the Menu Eave modular sofa. Thanks to the clear lines and high-quality processing, the sofa looks elegant and stylishly enhances any interior.